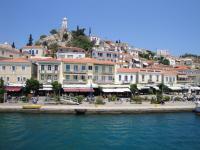 Athens Greece One Day Cruise! 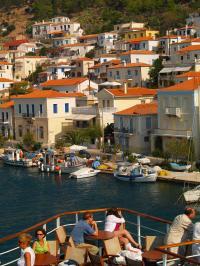 A day cruise to 3 Greek Islands. 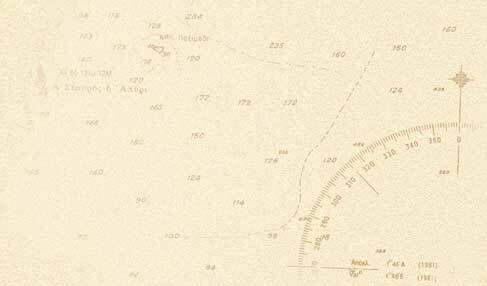 Visit of three islands as schedule. 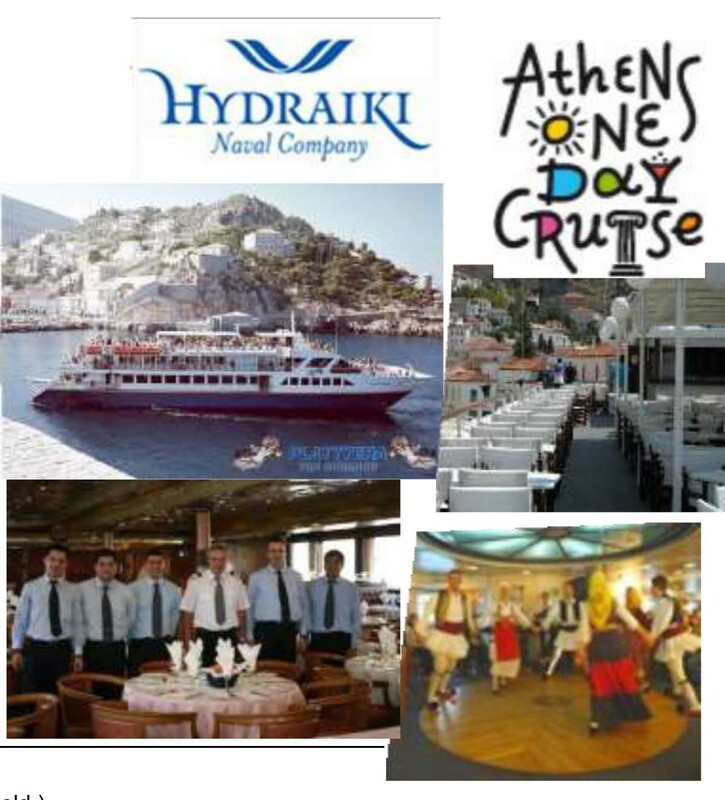 Buffet lunch on board, based in Mediterranean cuisine in cruise ship restaurant. After departure, our guide and the hostesses will ask you to assemble in one of the main lounges of the ship to get acquainted and to give you all the information concerning the ship, the program of the cruise and the islands and to make sure you will have a pleasant day. Hydra, The favorite island of the jet set, whose old traditional beautiful stone houses and mansions silently witness to a long and turbulent story. The small narrow stone paved streets await you to explore them on foot or by the island’s traditional “vehicle” the saddled donkeys… captivating walks along the old seaside promenade crystal clear waters, radiant fine craft shops and the beauty of Hydra will conquer you! 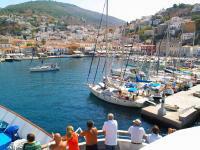 Our stay in Hydra is about 2 hours. 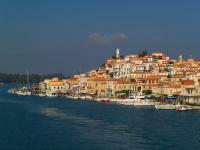 Poros, Although it is the smallest of the three islands that we visit, its attraction is the narrow strait offering a most enchanting view of the town of Poros. 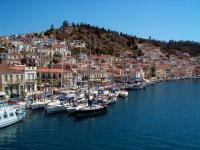 Our stay in Poros is about 1 hour. 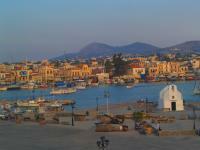 Aegina, the largest of the three islands. 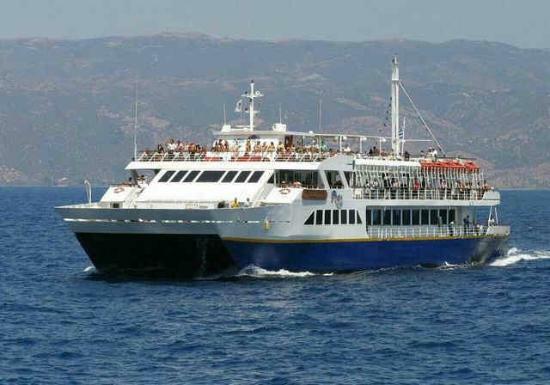 Apart from its harbor, there are optional organized tours by air conditioned busses visiting the Temple of Afea (archeological site) or the Church of Saint Nektarios, whose relics are display. 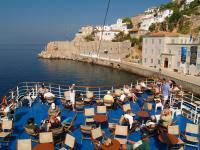 The above mentioned tours are optional and are sold on board the ship. 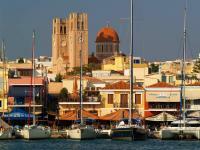 Our stay in Aegina is about 2 hours. 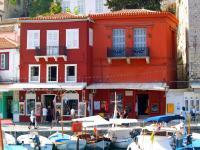 As soon as you disembark, it’s all there… the small narrow stone-paved streets waiting to be explored on foot or by the island’s traditional “vehicle” – the saddled donkey… captivating walks along the old seaside promenade… crystal clear waters, radiant traditional fine craft shops, the beauty of Hydra will conquer you forever! Separated from the Peloponnese by a narrow strait this beautiful green island will mesmerize you with its groves of pine & lemon trees and relaxing walk through quiet narrow streets for a rewarding panoramic view from the town’s clock tower. Visit to the Church of Saint Nectarios which is a beautiful example of classic Byzantine architecture housing the Saint’s silver carved tomb as well as relics for his everyday life. The second tour visits the wonderfully preserved 5th century B.C. 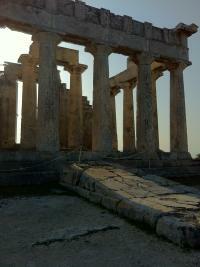 temple of Afaia which sits majestically upon a forested hill and offers a magnificent view of the Argosaronic Gulf.